The decision to attend law school remains a sound, smart, and fulfilling investment in yourself and your future. In a complex world facing many serious challenges, the need for competent, ethical, and compassionate legal practitioners is stronger than ever. 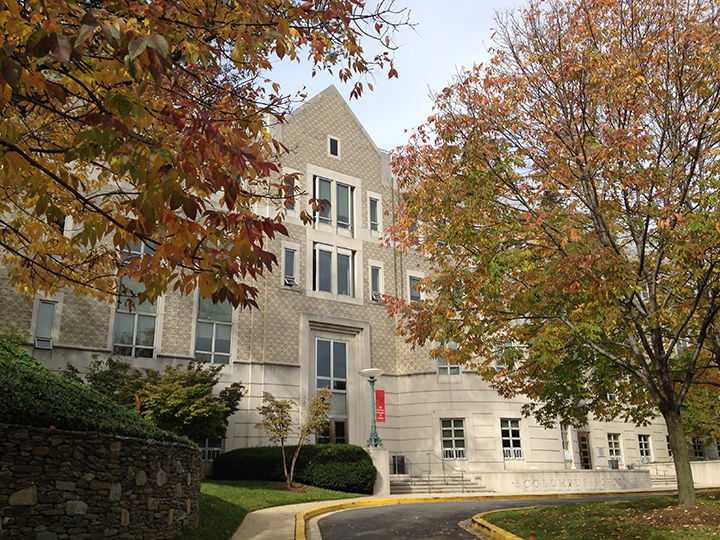 Located near the heart of Washington, D.C., a city like no other and the center of our nation’s legal system, The Catholic University of America Columbus School of Law (CUA Law) is among the best choices you can make if your goal is to graduate with the skills — such as critical legal analysis, legal writing, and effective oral advocacy—that are essential to successful legal practice in the 21st century. At every turn, our approach to legal education can be summarized with three words: practical, focused, and connected. Practical means you will learn by doing; focused offers the chance to choose among many different areas of legal study for academic emphasis; connected describes professors who take a personal interest in you, students who treat each other like family, and a supportive alumni network. 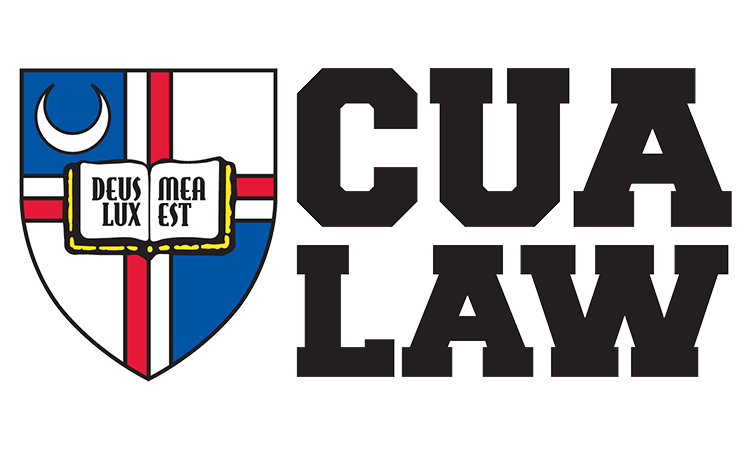 The Columbus School of Law is an integral part of The Catholic University of America and it supports and advances the aims and goals of the university as a whole, as they have been affirmed throughout the university's history and are currently stated in the university's mission statement. These aims and goals manifest themselves in a core commitment to the ideals of the dignity of each human person; respect for the inviolability of all human life; justice rooted in the common good; the recognition and protection of human rights as gifts of the Creator; care for the poor, the neglected, and the vulnerable; and the obligation of love for one another. As a law school, we strive to discover, preserve, and impart the truth in all its forms; to achieve academic distinction in the Catholic intellectual tradition; and to assure, in an institutional manner, faithfulness to the university's Christian inspiration. The school's sense of institutional integrity and community reflects its fidelity to Catholic ideals and beliefs. As such, the school is committed to fostering its already strong bonds of community by continuing to promote and maintain respect for and among faculty, administrators, students, staff, and alumni, and respect for the diversity of backgrounds, religious affiliations, viewpoints, and contributions that members bring to the law school community. We bring together an able and diverse student body and provide the students with an exceptional professional education designed to prepare and motivate them to serve with intelligence, integrity and vigor the needs of clients, communities, the nation, civil society and the international community. We strive to impart to our students a comprehensive set of practical competencies, a broad range of doctrinal knowledge, and an unwavering commitment to the ethical practice of law. Beyond the first year of studies we encourage students to consider participating in structured specialization through an array of institutes, clinical education, centers, and programs that enhance the skills that are essential to providing the highest quality legal representation. Through the provision of high quality instruction, rigorous scholarship, professional achievement and community service, the law school is committed to making substantial and lasting contributions to the enrichment of knowledge, the integrity of the legal profession, and the enhancement of the welfare of the broader community, the nation, and the Church. Catholic University of America’s Columbus School of Law combines the professional opportunities and legal resources of Washington, D.C. with the intimate, student-friend­ly atmosphere of a private law school. Drawing from the surrounding city’s large legal community, many CUA professors are “full-time practicing attorneys” with a “deep understanding of their particular field.” Here, professors come from “interesting and diverse legal backgrounds,” including “younger faculty already making names for them­selves in areas like civil procedure, First Amendment conscience protection, and protect­ing children from sexual abuse.” While the school attracts top-notch names, the atmo­sphere is “warm” and accommodating, with professors described as “intelligent, sympa­thetic, approachable, and caring.” While the JD program is not overly easy, “the empha­sis is on creating successful students,” with ample support services to promote that goal. For instance, “there is a program for individuals in [the] lower 15 percent of the class with additional lectures, and study technique assistance—they don't let people slip through the cracks.” The accommodating culture extends to the administrative offices and staff, too. From financial aid to the program dean, “the administration is very helpful and will address student concerns promptly.” Legal education extends beyond the classroom at CUA, and the administration puts a lot of “emphasis on the school’s moot court, arbitration, and trial teams, as well as jour­nals and clinics.” Plus, “All of the professors are more than willing and able to help connect students with internships, clerkships, and eventual jobs.” Research is also a major component of the academic program, and “the research librarians bend over back­wards to help any student who asks.” If they cannot find what they need at CUA, the school provides “access to all major research databases as well as catalogs from most major libraries in Washington, D.C. through the interlibrary loan program.” When it comes to the job hunt, many would love to see CUA’s Career Services department sig­nificantly enhanced. A current student details, “While the people working there cur­rently do a very good job, that office needs more funding and larger staff so they can help students learn about and apply for jobs.” However, “the connections to government and legislative opportunities” are strong at CUA, and the “very active alumni network” helps students make inroads in D.C.’s legal community. On that note, students point out that the school “focuses primarily on D.C. and government jobs, so if you're a student looking to work elsewhere after graduation, Catholic may not be the best option.” Catholic University of America’s religious affiliation is more than just in name alone, and, depending on their own background, students either praise or deride the Catholic influence on their law school education. Prospective students should be aware that, even in strict legal discussion, “You don't get away from that Catholic perspective” at CUA. 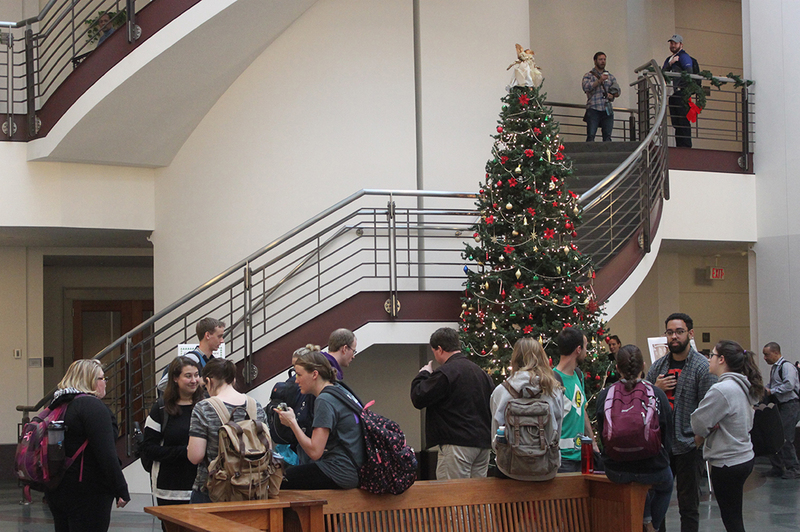 For example, “The school’s connection to the Catholic church prevents student groups from participating in certain activities, and makes some journal-writing topics off limits.” Others explain that because of the school’s stringent standards, “there can sometimes be trouble in getting outside speakers approved in a timely manner.” Excluding religious affiliations, most students are happy to note that the school’s Catholic values are won­derfully demonstrated in its “commitment to public service and pro bono” work. JD/MA programs in accounting, canon law, history, philosophy, psychology, politics, library science, economics, and social work, 3-4 years. Want more info about The Catholic University of America Columbus School of Law? Get free advice from education experts and Noodle community members.